What better way to shake off elections stress than taking a little skiing trip. Vladimir Putin and Dmitry Medvedev hit the slopes on Thursday in a Russian resort near the Black Sea, Euronews reports. Russia's leading duo was joined by former Italian Prime Minster Silvio Berlusconi for what state television described as 'a lavish dinner.' The trio enjoyed the mountain scenery, had some excellent drinks and Putin even managed to shoot some guns. 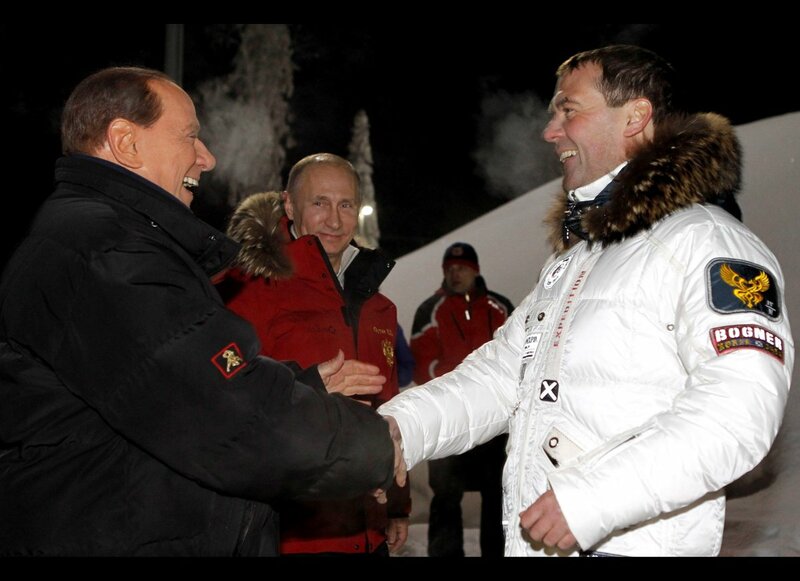 According to the Associated Press, Berlusconi skipped his first planned television appearance to travel to Russia. On Sunday, Vladimir Putin secured a third term as Russia's president with more than 60% of votes. Enjoy the photos! Post card quality.